Real-time analytics - What value does it bring? Complimentary article from my colleague Clay Cowdery, sharing his thoughts on real-time analytics. Clay is Business Performance Strategist and working on Analytics at Axway. The speed of the global economy has increased, resulting in fiercer competition for customers in all industry sectors. The growth of revenue from digital outlets is surpassing revenue from traditional outlets. The customer is more demanding with expectations that are unstated. If they can’t get what they want from one vendor, they move to the next. Brand allegiance is quickly evaporating. Customers have multiple relationships and pick the one that works the best at that particular time. Increasingly, open markets have intensified the race towards greater productivity and competitiveness: who can offer the best service at the most attractive price? Yet now, a new game-changer has come into play: time. The issue is no longer about simply the finest service at the best price. The pace of transactions and the associated communications has increased. “Where’s my order?”, “Did you get my transaction?”, “I expected a confirmation by now!” are all foremost in the minds of customers. Nowadays, “immediate” is the performance benchmark. The new question is: who can provide the best service, at the best price, and in the shortest time? For companies, this puts enormous pressure on operational teams. They have to constantly ensure that actions, orders, and deadlines are fulfilled against the most stringent of KPIs for clients, partners and regulatory bodies. If an optimal level of client satisfaction is not met, both in terms of product or service quality and transaction time, failure can have a dramatic impact on a company’s brand image or financial results – from reduced revenues to regulatory impacts. Against this increasing focus on time, companies are realizing the need to transform themselves from reactive to become proactive with a clearer overview of their real-time operational performance. The sooner that an emerging issue can be identified then the more time there is to address it prior to negatively impacting customer or regulatory obligations. Technical monitoring to ensure that network connections and servers are up and running. Application Performance monitoring provides technical operations with a view of how the software application tiers are performing. For example, how quickly does an item appear in the shopping cart once it has been chosen by the consumer? This may also include application issues such as browser types that are unable to connect to the company’s e-commerce website. Finally, while Big Data provides the ability to investigate large volumes of data for patterns, this type of investigation is typically focused on strategic decisions and not on emerging intraday issues. 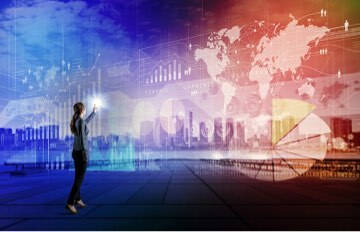 Those companies at the forefront of their digital transformation will implement real-time analytics that provides business operations with sophisticated views to monitor the event streams and data flows. Tools such as Axway Decision Insight can now identify emerging issues based on static or dynamic evaluation of flows. These types of real-time analytics for data flow and event streams are important across multiple industries, including banking where transactions are started and concluded within minutes, or supply chain where an order acknowledgment may be required in minutes. For example, for one supply chain organization, technical monitoring tools identified that four files containing customers’ orders were stuck in a B2B gateway. Without real-time analytics, the technical operations team took two days to inform business operations of the impact and resolution of the issue, including who the affected customers were and how large their orders were. Instead, real-time analytics provide a clear end-to-end overview of an operational process, providing notification – systematically and instantly – of an unusual situation that requires intervention from a business operator. Via self-learning technology, this type of tool uses historical data to automatically distinguish an unusual situation from a normal one, and establish the thresholds beyond which an alert should be issued to highlight an abnormal circumstance. The banking sector provides a good illustration of the business benefits of real-time analytics solutions. A global bank typically has dozens of daily processing deadlines supporting individual different payment currencies. In a recent example, the payment division of a world-renowned bank noticed that some large payments were at risk of not being processed to the currency deadline. In the event that this processing deadline was to be missed, the impact would be instant. Firstly, the clients concerned are paid late for this transaction. The bank faces penalties and fees for the late settlement that can reach hundreds of thousands of euros, and the damage to the bank’s marketplace reputation is significant. However, with notification from real-time analytics, not only were the payments at risk identified, but the solution also provided a prioritized list of the payments in order of their urgency for resolution. In today’s digital economy, time is the latest currency. Companies’ interest in real-time analytics is, therefore, its capacity for controlling business activities, coordinating work, and allocating resources, ensuring a perfect customer experience as it increases the reliability and efficiency of their operations. Next articleWhat are the key components of an API Management solution?